Lew Wallace was a totally fascinating man. As a young man he did not do well in his studies, but this appears to be perhaps because they did not catch his interest. We watched the video of his life, and the question is not what he could do, but rather, what could he not do. In his study we saw drawings, sculpture and paintings he created. He was a lawyer, author, and Civil War General that was credited with perhaps saving Washington DC during the Battle of Monocacy. After the War he was in charge of the Lincoln conspirator’s trial and then headed up the trial for Henry Wirz, commandant of the notorious Andersonville Prison. Wallace resigned his commission on November 30, 1865, and was honorably discharged from the service. 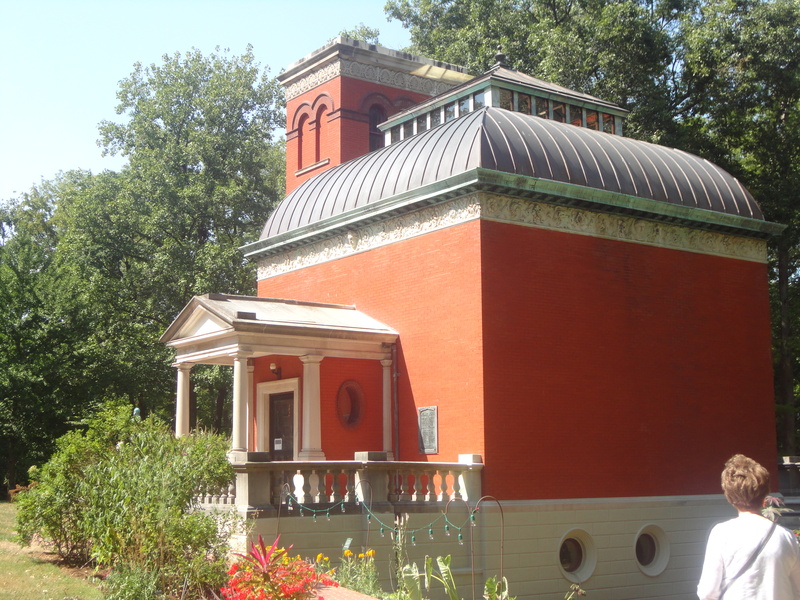 General Lew Wallace’s Study and Museum is located at 200 Wallace Ave., PO Box 662, Crawfordsville, IN 47933. Call 765-362-5769 for more information or log onto www.ben-hur.com.